Year: 2007. 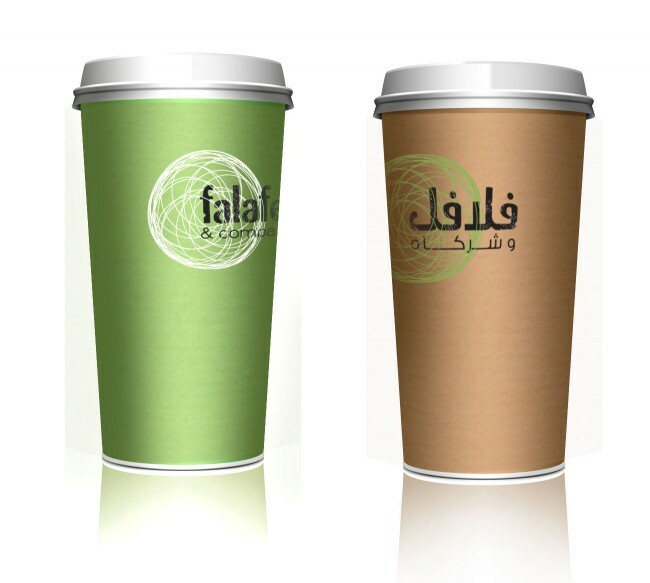 Client: Falafel & Co Restaurant, Kuwait. Falafel & co was a unique Falafel concept brought to Kuwait and Tarek Atrissi Design was asked to develop the branding and visual identity of this innovative concept. 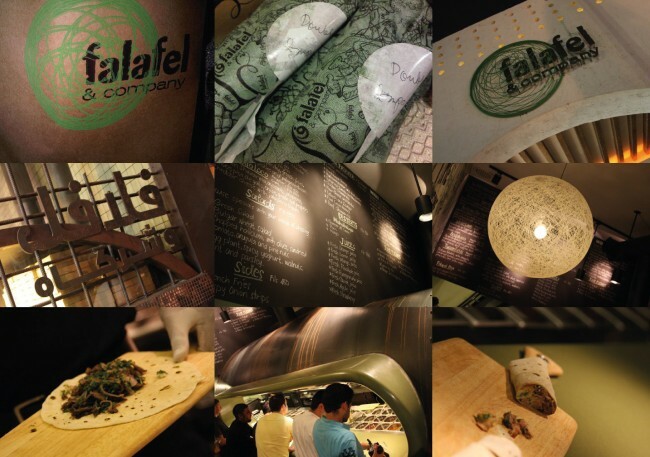 The restaurant is specialised in Falafel, bringing it to the market as a gourmet fast food concept. 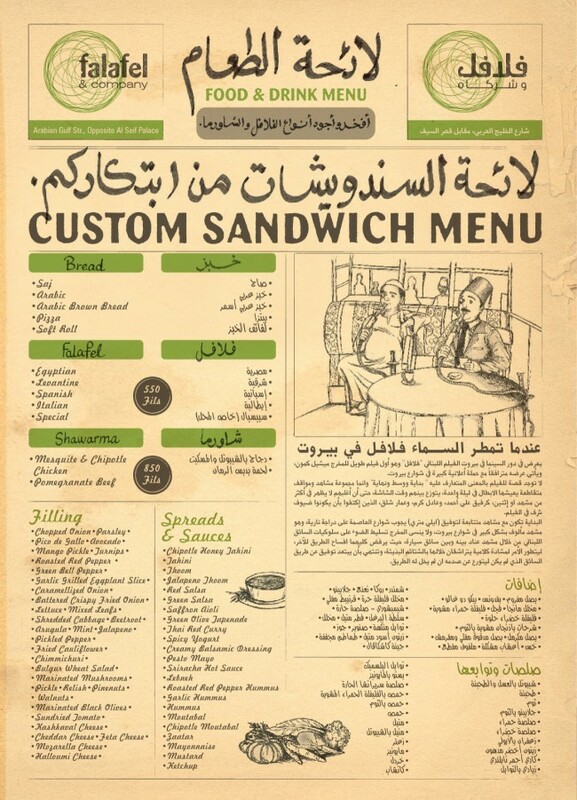 Part of the deliverables and the planning included developing the menu design for the chain as well as the full identity guidelines to be followed for the graphics and the interior, the packaging design, the graphic elements for the entire branding, etc… The menu design was a creative solution which presented the food list in an old style newspaper format. 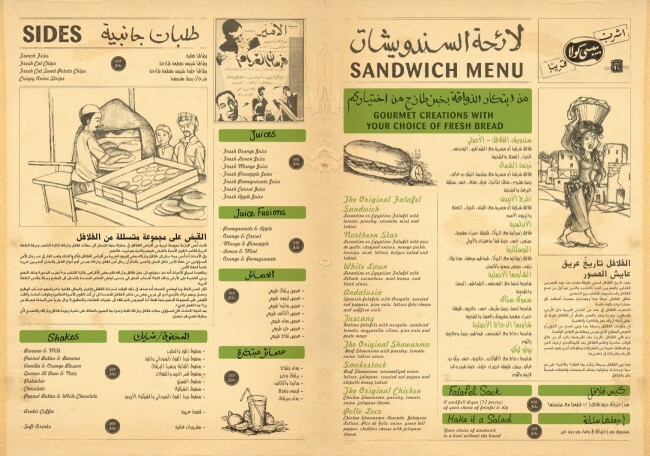 The menu/newspaper included a lot of interesting stories about the history of falafel or various news that have a link to falafel in one way or another. The calligraphy used in the menu was handmade and purposely done in an amateurish way to bring a feeling of a casual street-corner restaurant. 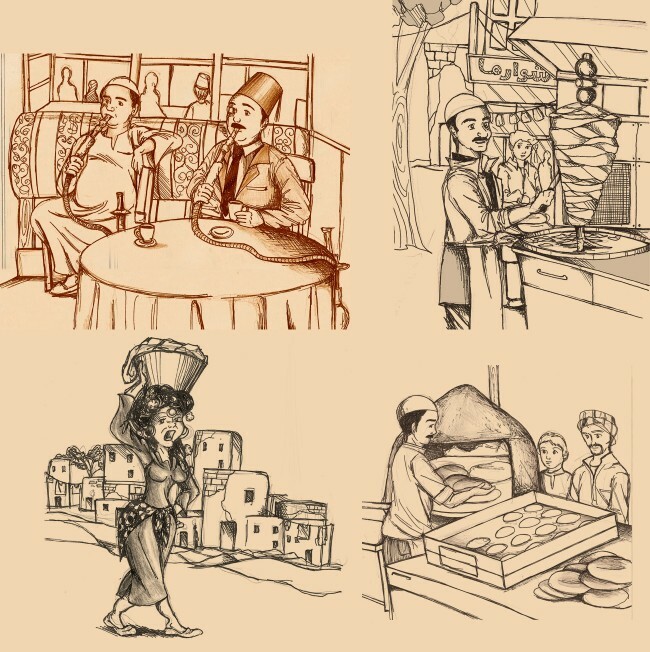 A lot of work was done in the illustration style to capture the smallest details in the story of falafel sandwiches from around the Arab world. 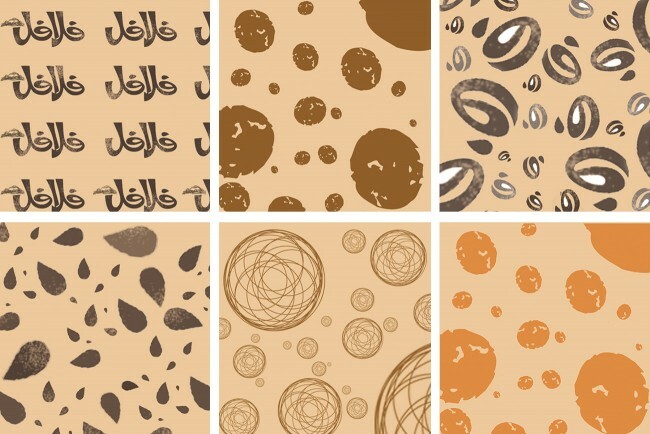 These illustrations became a main component of the restaurant’s identity. The logo was created in two versions, the Latin and Arabic one, and was used in a bilingual context as necessary. The wrapping paper and the packaging used the textures of the logo and focused on craft paper and a combination of orange, green and earthy colours.